Words on Wings are handmade art cards for all occasions. Each card is an edition of an original collage work by San Antonio artist Lila Walker. 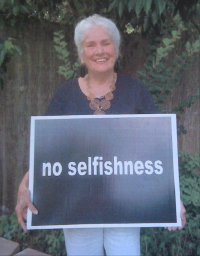 Lila Walker is a wife, mother, grandmother, animal rights advocate, loyal friend, good neighbor, retired teacher, artist, reader, gardener and docent at The McNay Museum of Art in San Antonio, Texas. Words on Wings would be pleased to be an addition to your store.